All of French documentary director Frederic Rossif's compilation films are models of the genre, some even more than that (as evidenced by Rossif's multiple industry awards). Most observers regard his 1963 work To Die in Madrid (Mourir a Madrid) as his masterpiece. 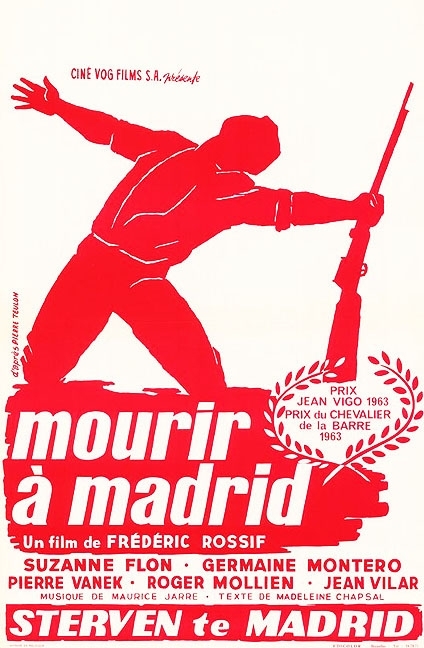 Using painstakingly selected newsreel clips and still photos, Rossif thoroughly conveys the horror, disillusion and bravery of the Spanish Civil War. This film justifiably earned an Academy Award nomination for Best Feature Documentary. Kudos to MovieDetective.net for making it available. Good price. Fast shipping. Prompt reply to customer query.